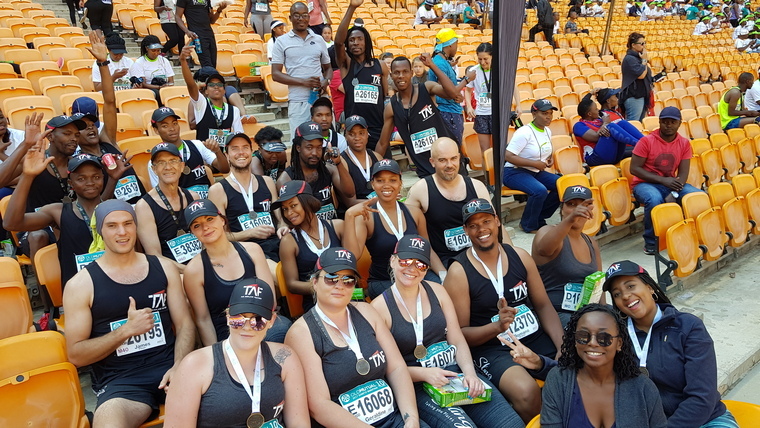 Employees of The Airplane Factory (TAF) woke up before dawn on Sunday morning and to head to FNB Stadium Soweto, where they joined more than 5,000 other people at the start of the Soweto Marathon People's Race before they worked their way through the 42, 21 and 10 km run. It was the Soweto Marathon's 25th edition. In all, more than 35,000 runners participated over various distances throughout Soweto. TAF, recognising the benefits of running, are actively encouraging their staff to participate in this activity. They are regular participants in the Orlando Marathon Race Against Cancer as well as the FNB Fun Run but while fun is the name of the game, safety is their number one priority. "The single most important thing for us at TAF is to encourage our staff to participate in this activity whilst remaining injury free," explains HR Manager, Danielle Pentz. "We encourage running and if our factory staff are injured, it's game over for a while in terms of our manufacturing business. 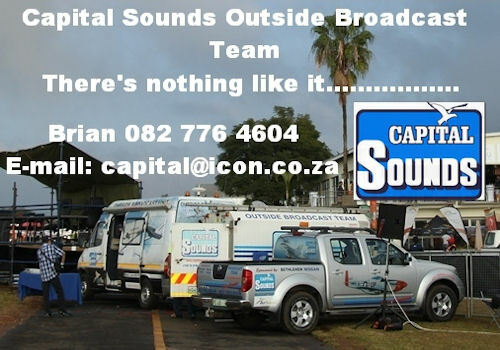 The correct gear is of utmost importance and an area we do not compromise in any aspect." All apparel and footwear are sponsored, ensuring their staff are fitted in the correct running gear at zero cost. Andrew Pitman, Managing Director of The Airplane Factory, says he has always loved running.. "For me running is the quickest and easiest way to remain fit and healthy. I suppose what I especially like about running is that no expensive equipment is required to partake, making it an easy sport for anyone to get involved in." More South-Africans are hitting the road in their running shoes, many for reasons of health and general wellbeing. "Running is nothing more than a series of arguments between the part of your brain that wants to stop and the part that wants to keep going. The will to win means nothing without the will to prepare and that finishing a marathon for the TAF Athletics Club confirms our high standard of commitment " Says Roland Maweja, team captain of the TAF Athletics Club. For Sonaca Production Manager, Branko Brkljac, a run every morning means stretching himself that extra mile. A year ago, he opted to start running purely to better his health and this was a sport that needed very little by way of equipment. He would run 5 km a day until he began pushing himself to run further for longer, leading to a renewed focus in his goals. Now he concentrates on rhythm, footwork and pace during his runs. "It helps me strategize towards the immediate goal, which is the next step, and this tactic works in the factory during pressure periods," he says. Factory worker, Daniel Ndaambi says running marathons in a group makes it that more fun while Shepard Ganu says running has improved his workplace relationships. "It helps me work as a team. We push each other to get better and faster. This has made us more efficient at work." Even the shorter distances offer participants a sense of achievement. "I've never been a runner but when I completed the Soweto Marathon last year, I felt I'd achieved something I'd never done before," says TAF receptionist, Helen Kgomo. "It's made me more alert, I can focus better, energy levels are higher and so is mental toughness. Give me a challenge and I can overcome it. That's what running has taught me." No matter the distance, there is one thing all participants have agreed on. There is something almost deeply meditative about the activity. Running has taught the mind to be patient as Andrew Pitman has discovered for his staff. "Endure the journey however painful or difficult it may be and always set goals! It builds perseverance and teaches you to never give up.'' 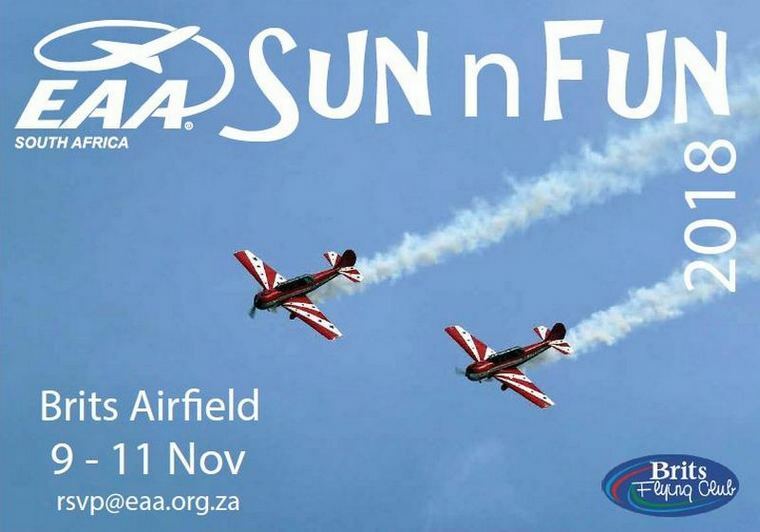 With the recent establishment of the TAF Athletics Club, it seems there is no stopping these go-getters, both in the air and on the ground. Airbus today released The Great Enabler: Aerospace in Africa - a White Paper on the role of aerospace technologies and their impact on socio-economic development in Africa. Photo © Airbus. "The aerospace industry offers solutions to many of the socio-economic challenges Africa is facing on the path to sustainable development. A paradigm shift from thinking about aerospace as an isolated industry to a key enabler of socio-economic change is necessary to realise its benefits for a prosperous future. That is what this White Paper is aiming at, by highlighting different ways in which aerospace technology can support social and economic development in Africa," said Mikail Houari, President Airbus Africa Middle East. •	On manufacturing and industrialisation, many African countries are final consumers in the global aerospace value chain. Joining the ranks of producers in this value chain is challenging for many but not impossible. The examples of Africa's current leaders in aerospace - South Africa, Tunisia and Morocco - demonstrate the complexities but also the opportunities for African countries to develop aerospace manufacturing and industrialisation capacity. Key among these opportunities is Africa's potential demographic dividend, which will be achieved by investing in its youthful and increasingly techno-savvy population. •	In the aviation sector, the key question remains how to connect people to markets and goods in a faster, cheaper and more efficient way in order to maximise the sector's role as an economic engine and a vehicle for greater integration in Africa. •	Agriculture is perhaps the most consequential pillar of the continent's sustainable development. However, despite employing more than 60 percent of Africa's population, the sector contributes only about 15 percent of the continent's GDP as underlying challenges persist. Aerospace technology such as precision farming could potentially reverse this situation by enabling farmers to produce more with less. •	Access to healthcare is still a challenge for many rural populations. While building on the existing technologies in the sector - such as air ambulances - new technology will further change the dynamics of access to medical care and emergency response in terms of quantity, distance and data collection. Over the years, Van's Aircraft has endeavoured to expand and refine our manufacturing processes and capabilities. We do this to enhance our product line, thereby providing our customers increased value. Photo © Vans Aircraft. In keeping with our desire to deliver the best quality at a reasonable price, Van's Aircraft is excited to announce that it is establishing its own aircraft assembly facility and team at its company headquarters in Aurora, Oregon. Future RV-12iS and RV-12-iST SLSA aircraft models will be assembled and delivered at this new facility. Synergy Air has been Van's assembly partner since the launch of the RV-12 SLSA program and has done a tremendous job for Van's and our customers. As Synergy Air continues its expansion into and emphasis on the builder-assist arena, we are excited to continue to work together to create opportunities that will expand the RV fleet and the Van's Aircraft family. What exactly is happening? Why? 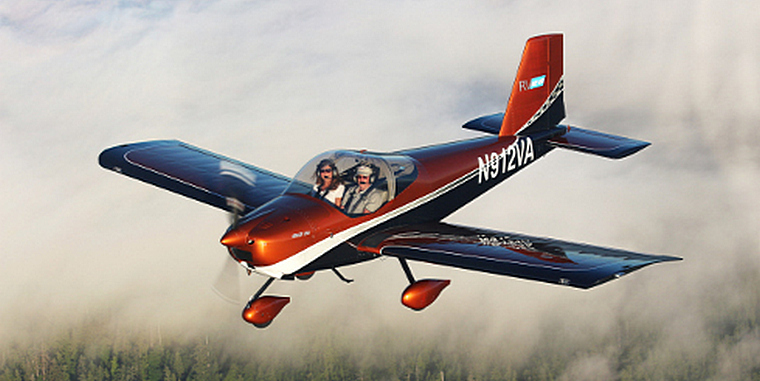 RV-12 SLSA airplanes will now be built and delivered by Van's Aircraft at its Aurora, Oregon facility. Several years ago, Van's set out to implement a comprehensive SLSA program. Synergy and Van's partnered to build out the various components of the complete SLSA program, which incorporates design, manufacturing, a comprehensive safety program in conjunction with the FAA, support, marketing and aircraft assembly/build. Synergy worked with Van's from the onset of the program to apply their expertise related to the marketing and aircraft assembly portions of the program. The natural evolution and success of both businesses has brought us to where we are today: Synergy has become even more focused on the business of assisting Van's Aircraft's customers in building their RV airplanes. As the SLSA program has matured, Van's has expanded its workforce and capabilities to include marketing and aircraft construction. This change represents the next logical step in both companies' successful business growth. After the successful introduction of the PAL-V's production model earlier this year at the Geneva International Motor Show (GIMS), Kuwait will have the honour to be the first to have their entirely dedicated PAL-V premiere. The PAL-V Liberty will be shown to the public for the very first time outside Europe in November. Combining flying and driving in one vehicle has been a dream for the past one hundred years. The question no longer is, if a flying car will cruise the skies, but when. Since the GIMS, the overall interest toward the PAL-VLiberty by customers, Investors and media, has been beyond expectations some car journalist defined the PALVLiberty as the most feasible flying car in the pipeline. It looks like the world is eagerly waiting on who will be the first to be remembered in history as the flying car pioneer. Fact is that PAL-Vis finalizing its last steps of preproduction certification: compliance demonstration. "It takesalot of testing to prove that the PAL-VLiberty complies with the regulations": said Mike Stekelenburg, PAL-V's Chief Engineer. He continues: "We deliberately chose to design, engineer and manufacture our flying car with proven instead of immature technologies, complying with existing road and air regulations (EASA and FAA). This approach focuses on safety and enables a realistic and imminent product delivery date." "Iam honored and proud to be invited by the Dutch Embassy in Kuwait to come and to introduce the PAL-Vfor the first time to the Middle East": says Dingemanse CEO of PAL-V. Recent years, many government institutes and private persons in the region expressed particular interest in the PALVLiberty's capabilities and advantages. It opens the door to a new form of mobility, enabling a more effective policing, border control, coast guard and first aid. According to Dingemanse, the potential in the GCC Is exceptional. It's the perfect region to demonstrate the versatile employment of the PALVLiberty. Oncefull certification is granted in 2020 PAL-V will hand over the keys of the PAL-VLiberty to the first customers. In the meantime, PAL-V's pioneer clients are Building experience at flying schools around the Globe in preparation for deliveries. For them, door to door FlyDriving is closer than ever. easyJet's partner, Wright Electric, progress into next phase of development of its electric aircraft as easyJet looks to a future where it could establish electric 'flyways' on key short haul routes. Photo © easyjet. easyJet, Europe's leading airline, today has confirmed that progress has been made towards its strategy to progressively operate even more sustainably and reduce noise from aviation operations. Wright Electric has also filed a patent for a motor that will be used in the larger aircraft. 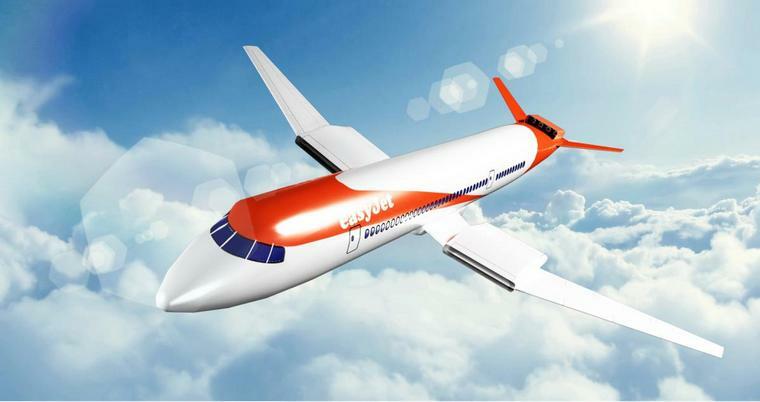 This exciting development suggests that the transition towards an all-electric commercial passenger jet capable of flying passengers across easyJet's UK and European network is in sight. London - Amsterdam is Europe's second busiest route1 with a strong demand for day return trips, potentially making it an ideal route for all electric plane flying, or what easyJet is calling an electric 'flyway'. Pioneering has always been a core element of the airline's strategy and since 2000 easyJet has reduced its carbon emissions per passenger per kilometre by over 32%. Johan Lundgren, CEO of easyJet, commented from Amsterdam-Schiphol:"We know it is important to our customers that we operate sustainably and with the introduction of A320neos, we can already provide a 15% reduction in carbon emissions and 50% less noise footprint, putting us amongst the best-ranking airlines in Europe. "Looking forward, the technological advancements in electric flying are truly exciting and it is moving fast. From the two seater aircraft, which is already flying, to the nine seater which will fly next year, electric flying is becoming a reality and we can now foresee a future that is not exclusively dependent on jet fuel." "The target range of the electric plane is around 500 kilometres which, within our current route portfolio, would mean a route like Amsterdam to London could become the first electric 'flyway'. And as it is currently Europe's second busiest route, this could in turn offer significant reductions in noise and carbon emissions, with multiple take offs and landings every day. We think the Netherlands has an opportunity to lead the way if the Government and airports encourage airlines to operate in the most sustainable way now and in the future and incentivise them through a different and lower charging structure." Jeffrey Engler, CEO of Wright Electric, added:"We are excited about what the next year holds. easyJet has been a fantastic partner, and we look forward to helping introduce low-emissions low-noise aviation to Europe." easyJet carried 22 million passengers since its very first flight from Amsterdam to London in 1996, now flying up to 22 flights a day which account for 34% of the total airline's capacity out of Amsterdam and a very popular service for day return trips. With an average of 1.8 million passengers a year and a record high load factor of 93% on the route, the airline, soon to be the largest A320neo operator in Europe, takes responsibility for reducing its environmental impact and will continue to encourage airports to promote initiatives to attract the quietest and cleanest aircraft. São Paulo, Airbus Helicopters' Brazilian customer centre, Helibras has just delivered the world's first ACH145 Line to the Brazilian company Bodepan Empreendimentos Agropecuários e Imobiliários. This is the fourth Airbus aircraft acquired over the last 26 years by Bodepan, which has already operated several models, including the EC135. Photo © Airbus. With more than 220 aircraft operating worldwide, the H145 has consolidated worldwide and is strongly reaching the Brazilian market with a proposal of comfort, technology and versatility. "Inquiries about the aircraft have been growing, especially after the last LABACE, when we presented the first H145 in Brazil. This helicopter is the best biturbine in its category", says Jean-Luc Alfonsi, Helibras Vice-President of Business and Services. Since its launch in 2017, Airbus Corporate Helicopters is setting new standards in corporate and VIP helicopter aviation focusing on quality, exclusivity and customer -experience supported by a global network of wholly-owned and approved service centres. Since 2012, the RTAF has placed orders for a total of 12 H225Ms under its fleet modernisation programme. 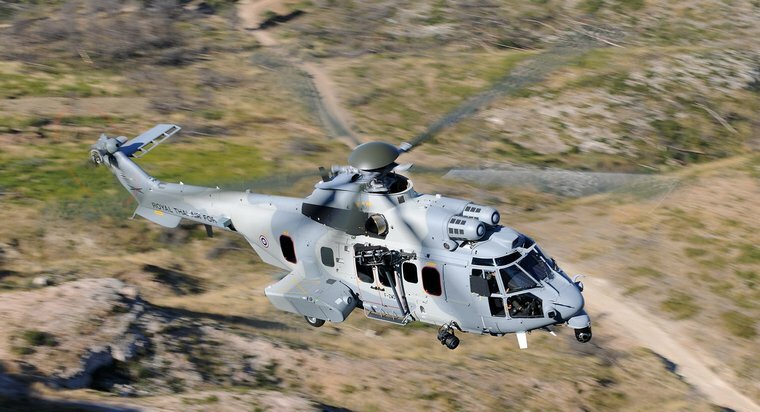 Belonging to a contract signed in 2016, these new additions will join the air force's existing fleet of six H225Ms for combat search and rescue, search and rescue flights and troop transport missions. The 11-ton-catergory twin-turbine H225M is relied upon as a force multiplier by many air forces worldwide thanks to its outstanding endurance and fast cruise speed. Featuring state-of-the-art electronic instruments and the renowned 4-axis autopilot system, the multirole helicopter may be fitted with various equipment to suit any role. Close to 90 units are currently in service in six countries across the globe, surpassing the 100,000 flight hour milestone. USA, Hare International Airport: An admittedly intoxicated American Airlines baggage handler fell asleep on the job and ended up flying from Kansas City to Chicago in the belly of a Boeing 737. The employee, who works for American subsidiary Piedmont Airlines at Kansas City International Airport, was working on the ramp for American Flight 363 when he apparently took a nap inside the cargo hold before the flight. No one noticed him missing, and the plane took off with the worker in the forward cargo hold, airline and law enforcement officials confirmed. He told law enforcement officials he was intoxicated and fell asleep. The baggage handler was not charged with a crime and flew back to Kansas City on another American flight. USA, Beekmantown: A Aerospatiale AS 355F2 Ecureuil operated by Catalyst Aviation crashed during a flight preparing to install a fibre optic cable alongside powerlines. The helicopter was consumed by a post-crash fire and the 4 occupants were transported to hospital with unspecified injuries. Two have reportedly died. Argentina, Buenos Aires: A LATAM Brazil Airbus on a flight from Sao Paulo Brazil to Santiago Chile, was enroute at FL300 about 50nm south of Posadas, (Argentina) deviating around weather when the aircraft encountered turbulence and hail causing both windshields to crack and a damaged nose cone. The crew descended the aircraft to FL240 and diverted to Buenos for a safe landing. USA: Chalk Bluff Park, Uvalde, TX: A Bell 206B made a fatal crash under unknown circumstances in the vicinity of Chalk Bluff Park off HWY 55, Uvalde County, Texas. The rotorcraft sustained unreported damage. At least one woman died. No further information was available at the time of publication. USA, Hawaii: The pilot of HA144 aborted take-off at Lihue Airport after one of the Boeing 717 aircraft's engine malfunctioned during the take-off roll. The flight crew stopped the aircraft on the runway and passengers were notified of a "major engine malfunction." Emergency vehicles were asked to meet the plane as a precaution. Passengers and crew safely disembarked and were accommodated on other flights to Honolulu. USA, Gander, Alaska: A Jazz de Havilland Dash 8-300with 50 people on board, was climbing out of Gander when the crew stopped the climb at 6000 feet due to an uncommanded feather of the right hand propeller. The crew shut the right hand engine down and diverted to Deer Lake,NL (Canada) due to Gander being at Weather Minimums. The aircraft landed safely in Deer Lake. 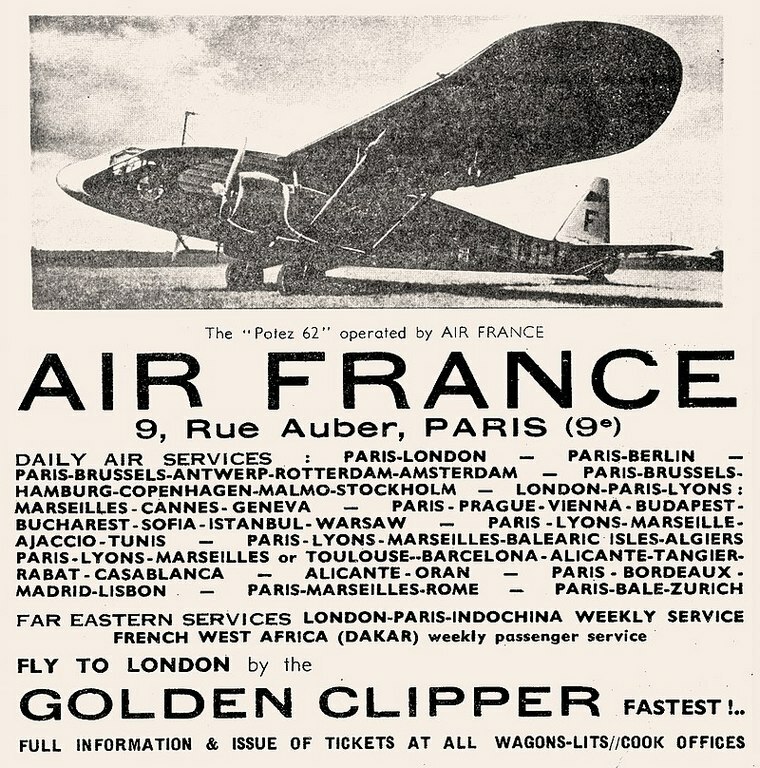 Air France was formed on 7 October 1933 from a merger of Air Orient, Air Union, Compagnie Générale Aéropostale, Compagnie Internationale de Navigation Aérienne (CIDNA), and Société Générale de Transport Aérien (SGTA). During the Cold War, from 1950 until 1990, it was one of the three main Allied scheduled airlines operating in Germany at West Berlin's Tempelhof and Tegel airports. In 1990, it acquired the operations of French domestic carrier Air Inter and international rival UTA - Union de Transports Aériens. It served as France's primary national flag carrier for seven decades prior to its 2003 merger with KLM.